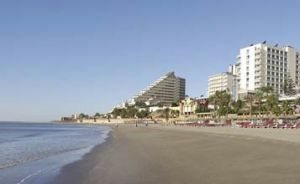 Avenida Antonio Marchado, 49, 29630 Benalmadena, Spain. The four-star Hotel Riviera is magnificently situated right in front of the sea just next to the Maritime Parade and Benalmádena's marina. 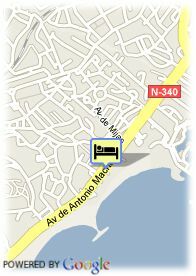 It is located less than 20 km from Malaga airport There are 189 spacious and comfortable rooms. The experience of many years allows us to give a professional service that is dedicated to the comfort of our guests. The restaurant is open for the service of breakfast and the evening meal. It is specialised in international and Mediterranean cookery. All guests have free access to the heated swimming pool and the jacuzzi. Guests can also enjoy the programme of shows and entertainment activities. In Benalmádena you will find enough activities to enjoy action packed days whilst partaking of the nature, culture and special atmosphere of this Mediterranean destination. The hotel has 3 rooms adapted for disabled people. Internet is available (extra charge).